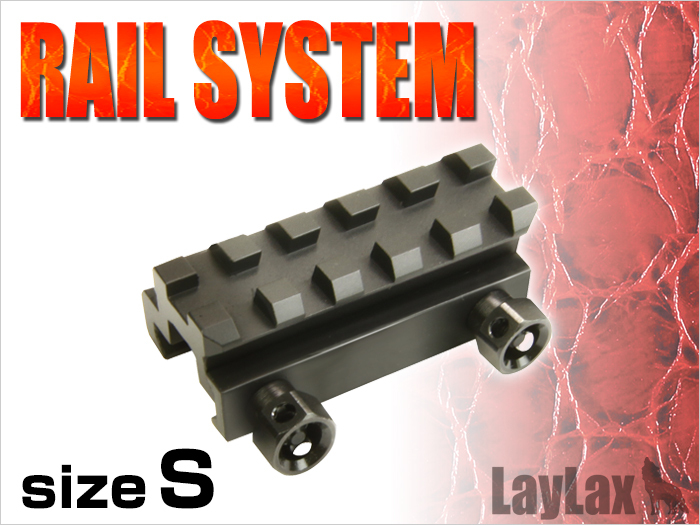 ●Rail adapter to elevate your rail system to a high mount! ●High quality and high accuracy Japan made! This item will allow you to elevate your original rail, so that you can mount accessories as high mount height. EX: If you install the high mount type dot sight, with low mount base optics on the same height rail, there will be optical axis deviation amongst the two accessories, so it will be difficult to use properly. Therefore, If you use the "High Mount Rail"between the optic sight with low mount type and the rail, it will make the same height with the high mount dot sight. It will allow you to use both accessories comfortably and optical axis will be clear. Made with light and enhanced strength aluminum alloy. You can install each rail compatible model firmly. Also, It is useful item when you want to make the optics height slightly higher. Size M(94.7mm)and L(134.7mm) are also available.